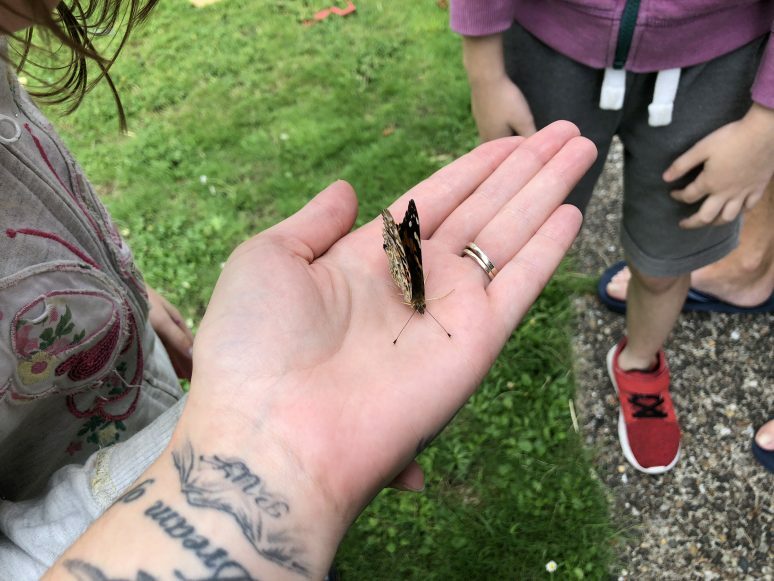 At the beginning of the summer holidays, I wrote a post detailing how we’d be trying to complete as many of the National Trust’s 50 things to do before you’re 11 3/4 activities. One of the things on the list was to raise a butterfly. After my sister did this last year using a kit from InsectLore, I decided to do the same thing. 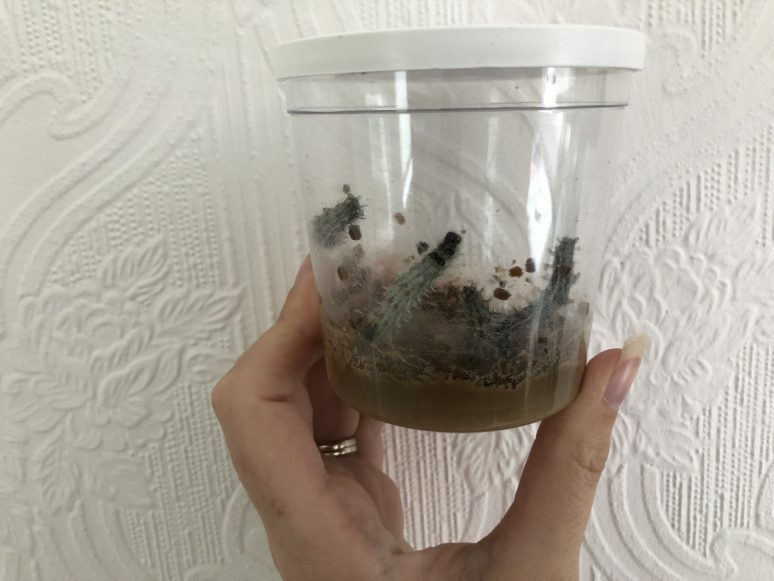 After ordering the kit online from Amazon, we needed to send off for our caterpillars. You can choose the date they get sent out to you. 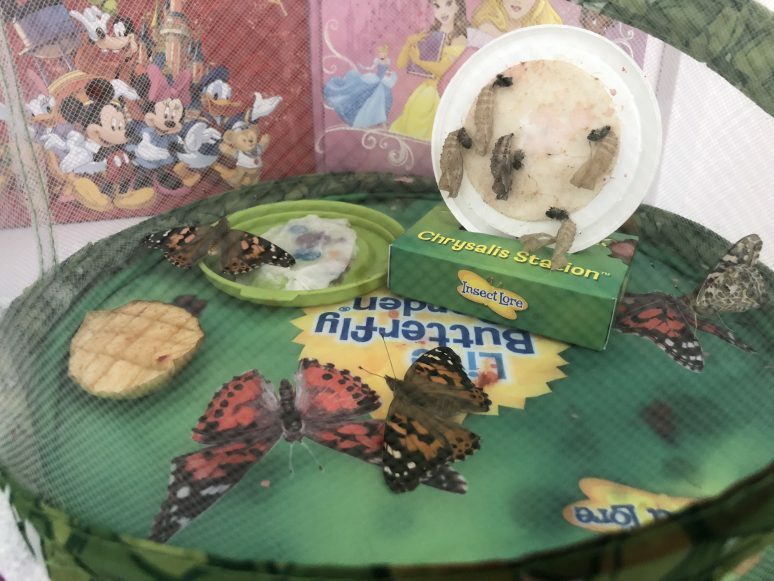 Our caterpillars arrived quickly and our girls were very excited! We didn’t need to do anything with them at this point. Just set them down somewhere out of direct sunlight, and ensure that they weren’t disturbed. R and M really enjoyed watching the caterpillars grow and spin silk. 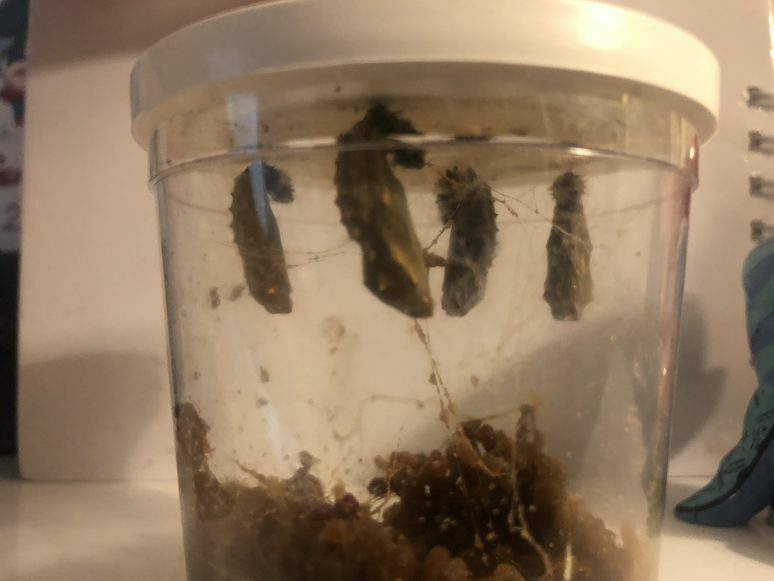 Before long they’d all made their way up to the lid where they transformed into their chrysalis. 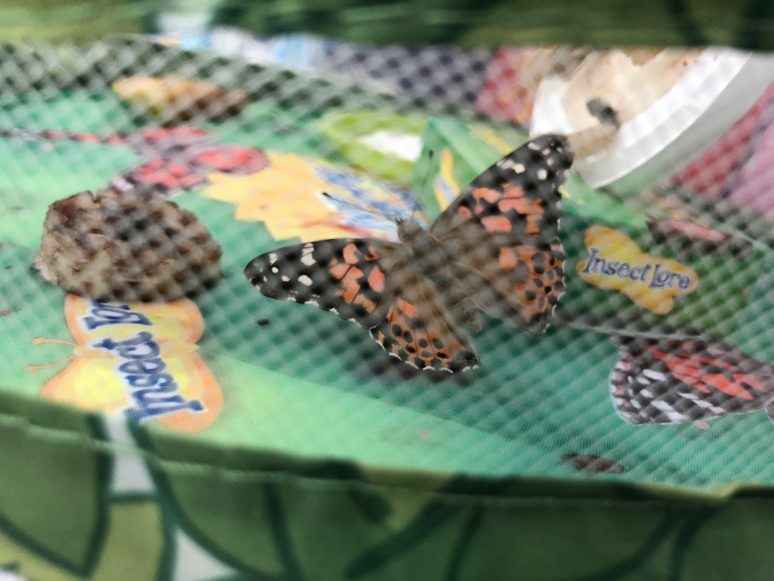 Around three days after this stage, I carefully removed the lid with the chrysalis attached and placed them into their new habitat, where all we had to do was wait for them to appear as butterflies! During this time we could feed them some sugar water, fruit such as apple and banana, and flowers. It was amazing to watch them climbing up the sides, flapping their wings and eating. All too soon it was time to release our beautiful butterflies. It was wonderful watching the butterflies fly up into the air and away! R and M really enjoyed the whole experience, and it’s helped them both to learn about the life cycle of caterpillars. I’m sure we’ll be doing this again next summer! We’ll also be looking to see what other kits InsectLore have to offer. Have you ever raised butterflies? Let us know in the comments below. This post is in no way endorsed by InsectLore. I purchased the butterfly kit using my own money and decided myself to write about our experience.